The start of the spring season is such a welcomed time in our house. Living in the midwest, we totally live for warmer temps, more sun, and beautiful greenery that comes long with the spring season. The change in season also means that there's a lot of prep going on indoors that will help ensure my baby girl is ready. And Dreft laundry detergent products are an integral part of that. 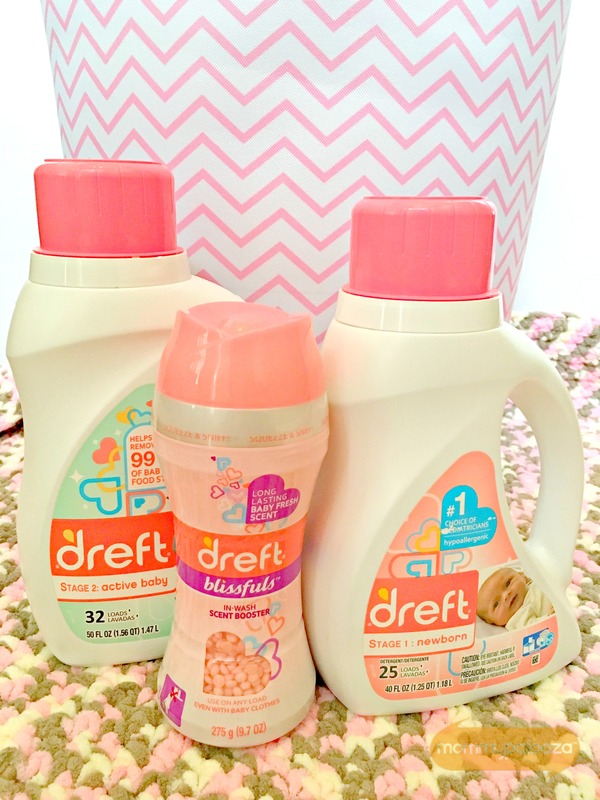 Dreft laundry products for baby are hypoallergenic and beyond gentle enough for my baby's soft, delicate skin. But, along with that, Dreft is also tough on stains and has a baby fresh scent that we have all come to know and love. No wonder Dreft is the #1 baby laundry detergent choice of pediatricians and the #1 dermatologist recommended brand for baby clothes. It's what I've always used for my little ones, so it's not surprising that so many others rely on it as well. And speaking of pediatricians, Dreft has recently partnered with Dr. Dyan Hes, mom and medical director of Gramercy Pediatrics, to share useful tips to help moms keep baby comfortable during the spring season when allergens in the air and rising temperatures can trigger skin irritations for little ones. • For babies 6 months or older. If your baby is 6 months or older, liberally use sunscreen. Also, avoid exposing your baby to the sun during peak hours — generally 10 a.m. to 4 p.m. — and dress your baby in protective clothing, a hat with a brim and sunglasses. • For babies younger than 6 months. If your baby is younger than 6 months, keep him or her out of direct sunlight. Protect your baby from sun exposure by dressing him or her in protective clothing, a hat with a brim and sunglasses. 4. Choose the right fabrics and care for them properly: When it comes to fabrics, it’s extremely important to seek out gentle and hypoallergenic items to care for the items that touch baby's sensitive skin. It's also essential that fabrics be cared for properly. 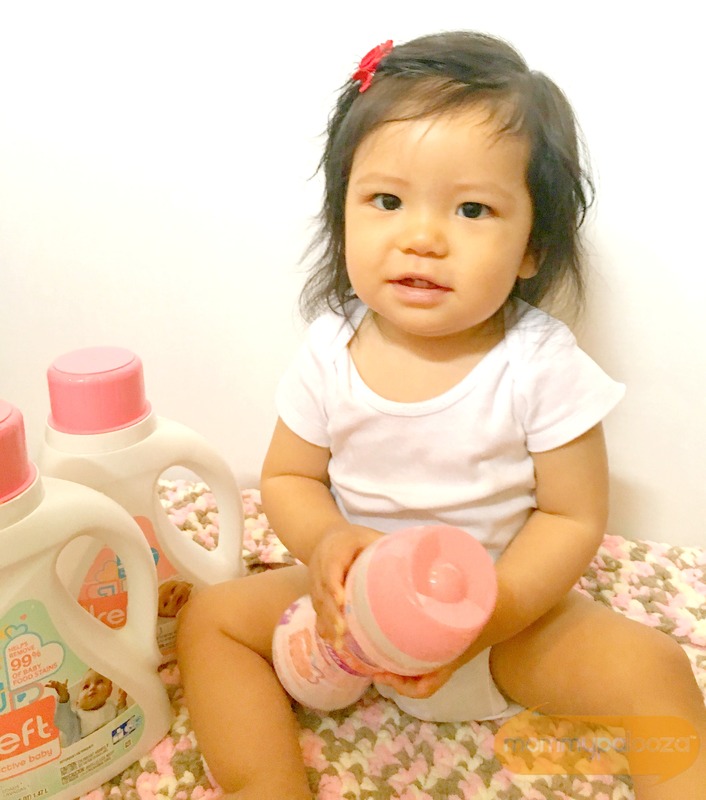 Wash baby's items with a specially-formulated product such as Dreft, the #1 baby laundry detergent choice of pediatricians to be gentle and hypoallergenic on baby's skin. 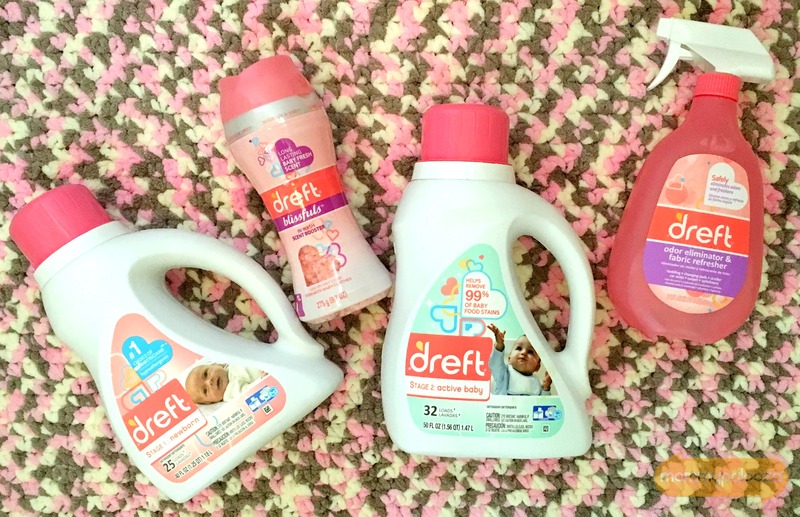 Trusted for over 80 years, Dreft comes with a babyhood scent beloved by moms, and it remains safe and hypoallergenic for baby. Spring time is the perfect time to experience the outdoors with your baby and enjoy all of the wonder that comes from them experiencing the world around them. I know that it's easier to enjoy that special time with my baby if I know that I've prepared for all the changes of the season, and these tips from Dr. Hes allow me to do just that. I just love all of the beautiful colors of spring that will be reflected in my baby's photos this season, and it's also nice to know that her clothes will also look clean and bright because we count on Dreft all season long. It's your turn! I'm hosting a Dreft product prize pack giveaway, consisting of the Dreft Newborn, Active Baby, and Blissfuls laundry products, and a $50 AMEX gift card! Be sure and enter below! We like to spend time at the park.